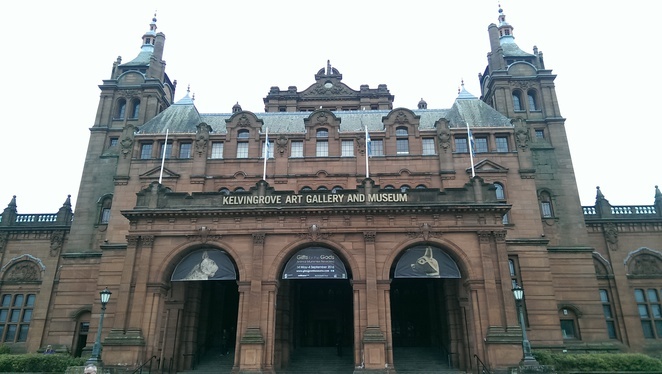 Kelvingrove art gallery and museum is a free day out suitable for everyone. Located in the West End of Glasgow half of the building is an art gallery and the other half is a museum. They provide free guided tours at 11am & 2.30pm and also an Organ recital from 1 - 1.30pm. As I am more interested in the art side of the building I would advise not to miss the Scottish exhibitions of the Glasgow Boys; Scottish Colourists and of course Charles Rennie Mackintosh. The building itself has an interesting history, which is explained in the tour, and has all its original features restored. You could easily spend a whole day here, stopping for lunch in the restaurant or the cafe inside the gallery. Although only a short walk back to my accommodation on Great Western Road, BrewDog across from the front of the galleries is a lovely venue to warm up with a craft beer or two. Good choice for the winter but if you visit in the summer you might fancy a game of lawn bowls. The barefoot bowls green is located just to the side of Kelvingrove galleries and is also free to use with no booking required. Good experience all year round.